Hamstrings run up the back of the leg and flex the knee and extend the thigh. The Biceps femoris (C) has two heads. One joins on to the ischial tuberosity. The other attaches to the back of the femor. Both merge and join onto the fibula. How Flexible Should You Be? Lie on your back. 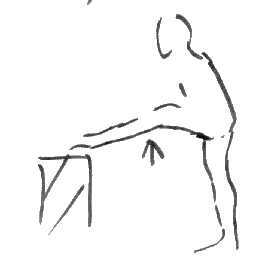 Another person gently lifts one leg straight up (while you keep your back on the floor). They should be able to lift it to 90° to the floor (ie at right angles). If you try and do this for yourself you will get a different result because then you are working the leg at the same time. This way also enables you to spot any differences in flexibility between your legs. The old "touch your toes" can give very misleading results. Range of motion can be affect by the tightness of your glutes or the flexibility of your back. So being able to touch your toes doesn't mean you have sufficient flexibility. 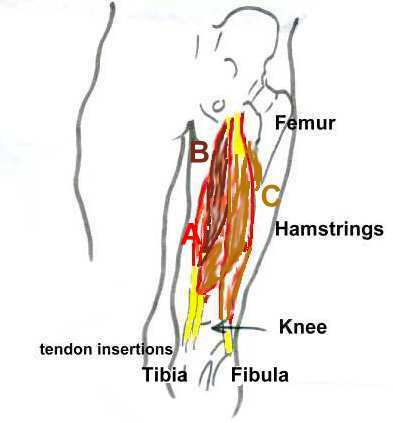 And the other way, not being able to doesn't necessarily mean the problem is in your hamstring. How Can You Improve Flexibility? When stretching your hamstrings, you should feel the stretch in your hamstrings - that is at the back of the thigh - not behind the knee. This means, for many people, you stretch the hamstring on a bent knee. You cannot stretch a muscle that is working - that is "standing hamstring stretches" are going to be of little, if any use. The "traditional" toe touching is not only ineffective it is also potentially damaging (see here for more details). There are a number of safe ways to stretch your hamstrings. All stretches should be on a warm body and repeat 2-3 times on each leg. Lying Lie on your back. Hug one leg into your chest. Then straighten and pull towards you until you just start to feel the stretch. As it "softens" bring it in closer. If you cannot reach your leg use a sock (or a veil) to pull it towards you. 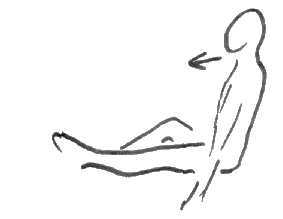 Sitting Sit with one leg straight out in front and the other bent and relaxed (you are stretching the straight leg). Support yourself with you hands and lean back until there is no stretch. Move the arms and body forward until you just start to feel the stretch. Standing Stand with your leg on a chair (or similar) and the leg bent. Keep you back straight and your pelvis in neutral.